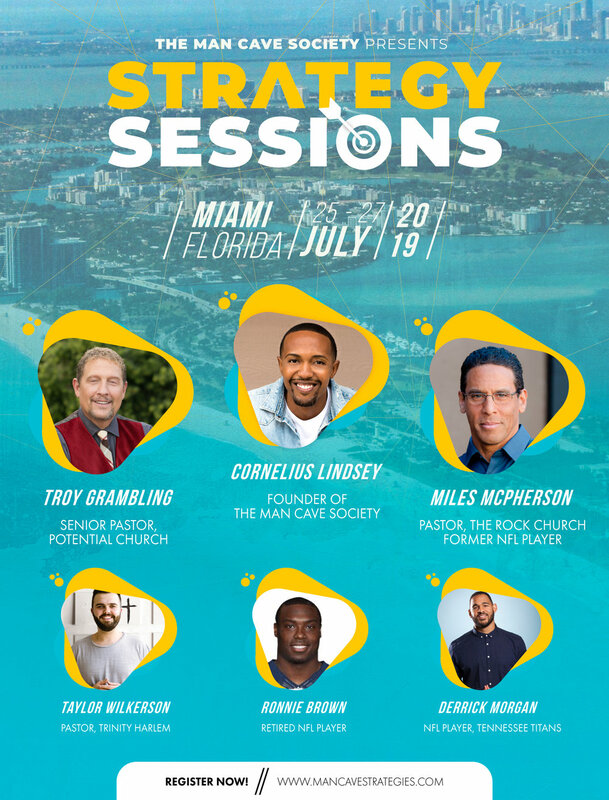 Men, join us in beautiful Miami, Florida for our 2019 Man Cave Men's Conference. This EXPERIENCE will be from Thursday, July 25 until Saturday, July 27. It will be held at Potential Church, which is located at 12401 Stirling Road, Cooper City, FL 33330. You MUST register to attend. This is a gathering of MEN. This is where all of our brothers from around the world are gathered to be edified, encouraged, and challenged to live Christ-centered lives and develop a strategic plan and course of action. This conference features many specialty strategy sessions on leadership, leading your family, financial freedom, and so much more to equip men in everyday life and help them live boldly for Christ in their field of profession. Our focus is to equip men to lead in their home, with their family, in their community, in the workplace, and in the church. This is a transparent, guilt-free zone. It's a place of encouragement and transformation. This is our Man Cave!